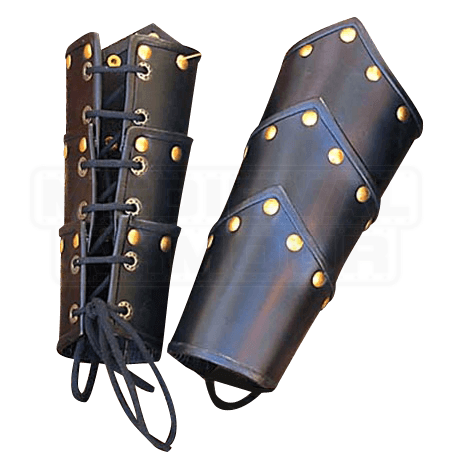 These beautiful vambraces are made from heavy grade leather and though thick, are easy and comfortable to wear all day long. 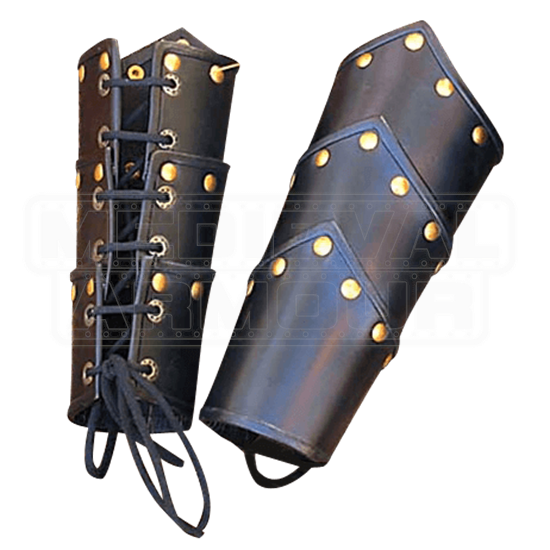 They are good for a large variety of outfits, and these vambraces are great for use with your medieval look The matching Leather Swordsman Greaves available. They are offered in black only. These fit so well and are comfortable to wear all day at the ren fair.